Not sure if ebay seller natenkristy is either someone who likes to stretch the truth, is misinformed or a combination of both. 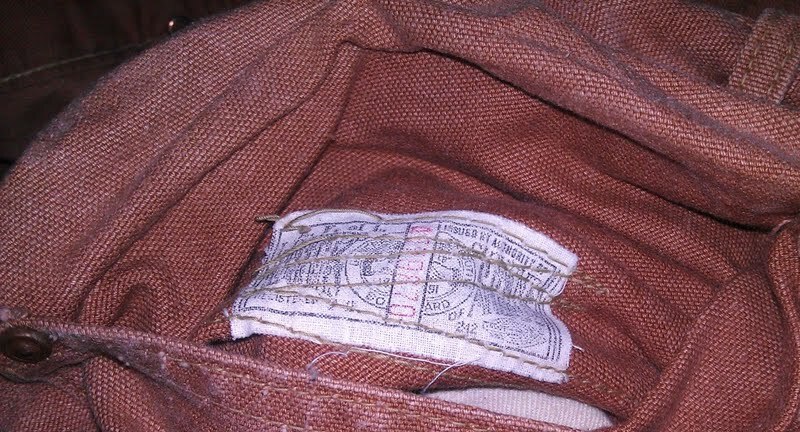 Either way people need to know that unscrupulous sellers continue to describe vintage items as much older than they are with little or no regard to the facts. 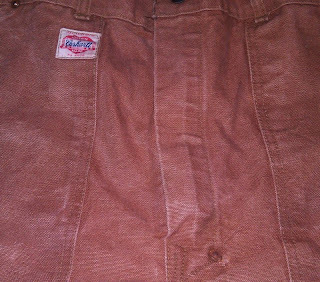 The real kicker is their brazen statement which reads " I had a close friend who is as knowledgeable as they come in dating vintage US workwear / denim date these for me". The seller then proceeds to rattle off many inaccurate references that do nothing to support their claim that these pants are from the 1920's. If you are gonna state a bunch of facts, at least try and get 'em right. These pants are likely from the 1960's and are without a doubt no earlier than the 1950's. Sad to see this great pair of duck pants tarnished by a description filled with false facts and wishful thinking. A classic case of CAVEAT EMPTOR or "Let the buyer beware". I saw these last week...posted it on my FB page! Was a fun topic for discussion...total idiot. They should be ashamed of themselves. This stuff is hard enough to get your hands on without the help of jackasses like these. 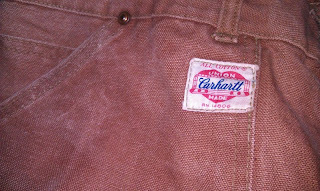 One time someone tried to sell me blanket lined Carhartts for 300. I said you must joking.Checkout the deadstock blanket lined pants and overalls this guy is trying to sell them for around 5,000 dollars each. Shame seems to not apply much these days. I'm really liking the words used to describe said seller/sellers. 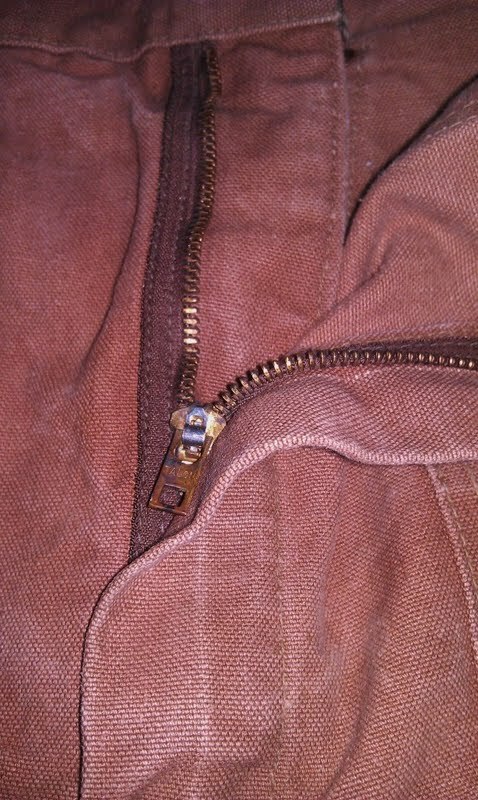 $300 for nice Carhartt's is still a reach but not too crazy with what prime pieces are currently bringing. Don't even get me started with those deadstock Carhartt, Builtwell & Headlight items being offered at those outrageous prices. Ridiculously they sold for $500+. There are loads of fraudsters ebay. 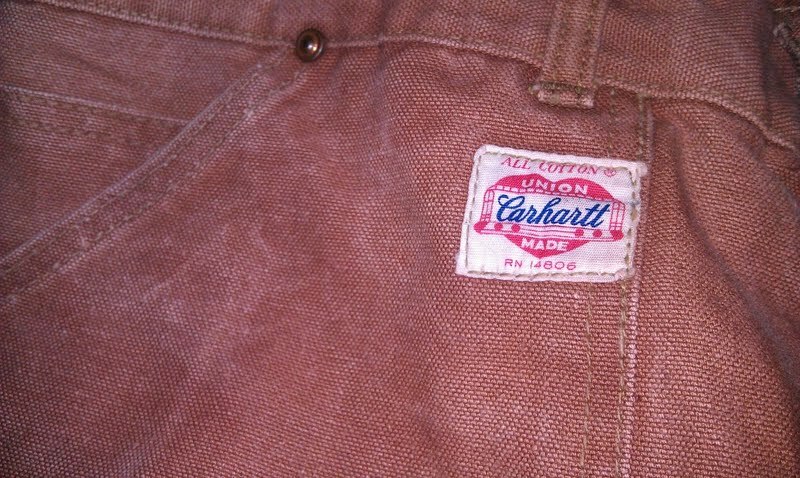 I buy and sell some vintage clothing and I'm looking for a site,book or anything to identify the age of different Carhartt products.Any suggestions? I have some Carhartt jeans with black thread stitching and no rivets in pockets with cloth label on back pocket.The flat steel button on front looks new but the denim looks like 1960's 70's vintage dark blue like other jeans I have from that era.Just straight leg.The button looks like Kimmel-Carhartt style that I've seen but no star added on it.I'd call these hippie era style.They don't look or feel like work pants,not very thick or heavy material.